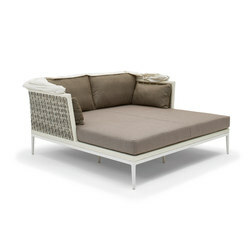 With designs as refined as they are luxurious, the Italian outdoor-furniture manufacturer VARASCHIN brings indoor comfort some fresh air. It's elegance alfresco! One common thread – literally – runs through the history of Italian company Varaschin: a passion for weaving. 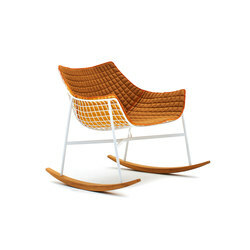 Back then, this family-run firm, founded by Ugo Varaschin in 1969, specialised in rattan and wicker furniture. 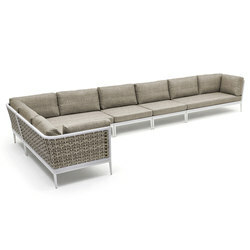 Today, its forte is outdoor pieces – from dining chairs to more informal low-level, modular sofas – all covered in handwoven fabrics, which blend comfort with innovative design. 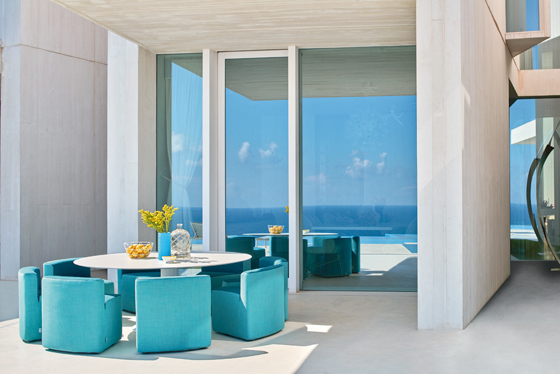 These elegant, contemporary designs, with a strong Mediterranean flavour, dissolve the traditional divide between outdoor and indoor furniture. 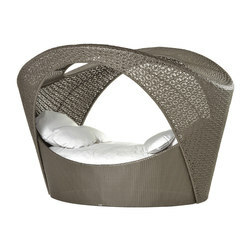 Made of synthetic woven fabrics, wood and metal elements that withstand harsh weather conditions, they are highly durable. 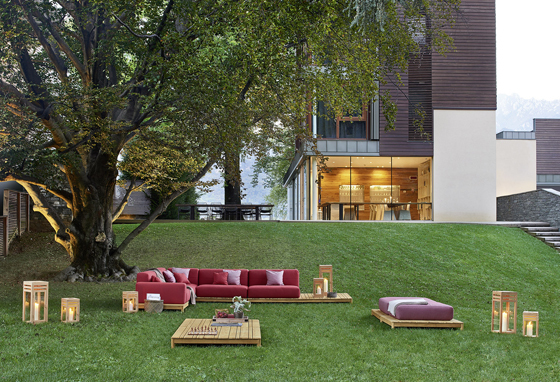 Given the carefree spirit of Varaschin’s furniture, it’s appropriate that the brand is based in the Prosecco-producing area of Treviso in Veneto, northern Italy. 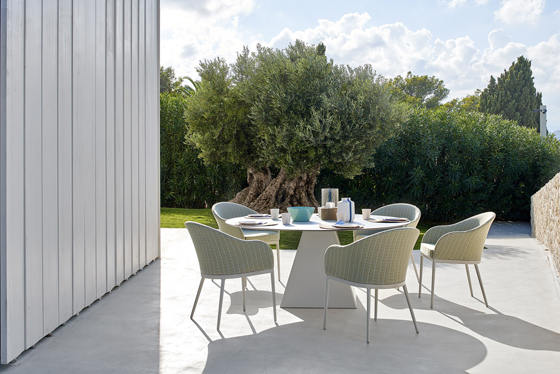 After all, its outdoor dining chairs clustered around large dining tables and its sofas are naturally conducive to festive gatherings. 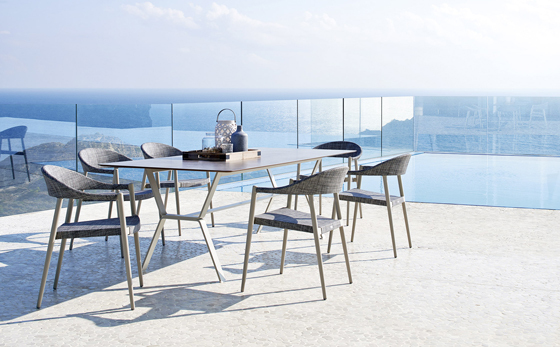 It should come as no surprise to hear that this leading outdoor furniture firm supplies its designs to bars and restaurants in beach resorts and luxury hotels in Ibiza and St Tropez, among other destinations. Although Varaschin has strong Italian roots, it is very cosmopolitan and outward-looking. 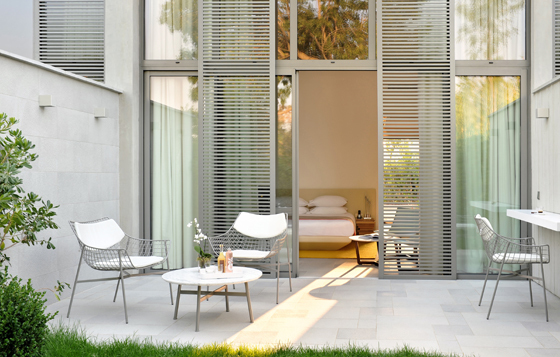 Another key to its success is its collaborations with such internationally renowned designers as Christophe Pillet, Marc Sadler and Nigel Coates, who, together with Varaschin, reinterpret traditional weaving methods in fresh, inventive ways. 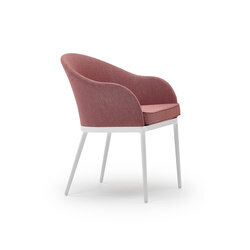 More recently, the company has collaborated with Monica Armani to create Emma, a versatile chair with interchangeable legs and backrests, available in different materials and finishes. 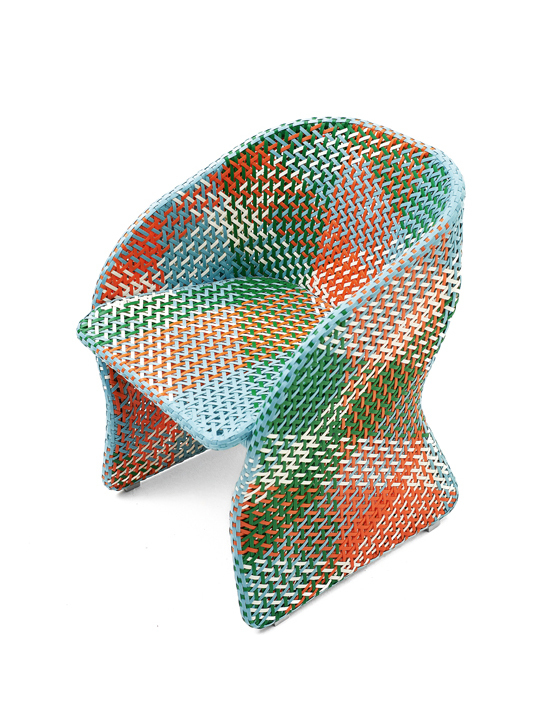 And with Philippe Bestenheider, Varaschin has produced the vibrantly colourful Maat armchair, made using an ingenious weaving technique that narrows under the seat to provide extra stability. 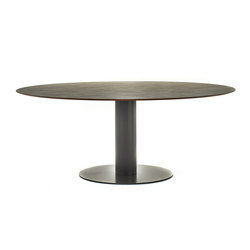 These two designs were launched at the Salone del Mobile this year. 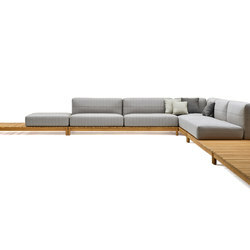 Varaschin sees its furniture as having a close affinity with nature. 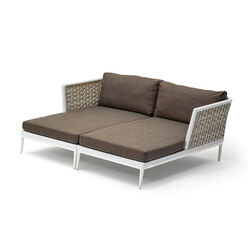 Despite boasting all the comforts of indoor living and looking thoroughly contemporary, its outdoor furniture blends with the natural environment, thanks to its elegant simplicity and subtle palette, which ensure that it never imposes on the landscape. 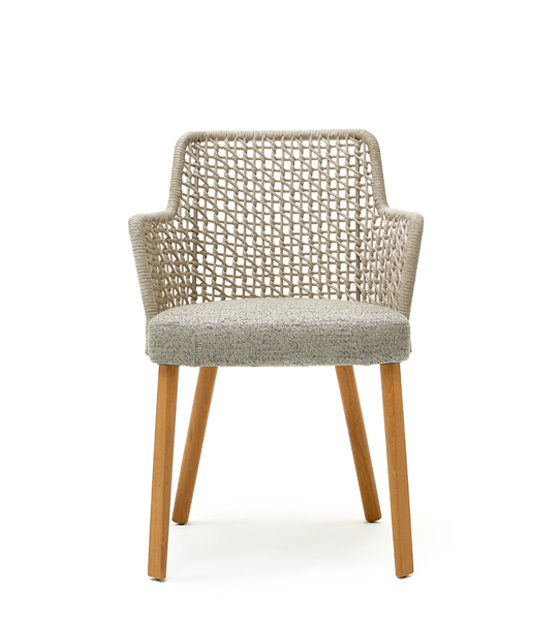 A good example is the Clever chair with its solid fabric or open-weave cord upholstery in various shades of grey. 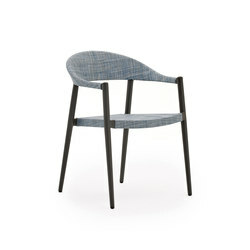 Or take the Saia armchair with its enveloping backrest, again in neutral greys. 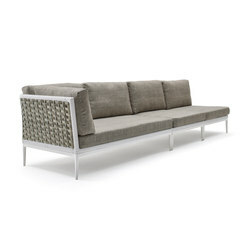 A more playful alternative is Pillet’s Summerset collection. This includes a rocking chair with a curvaceous backrest and seat upholstered in a toffee-coloured, quilted fabric that cradles the body. 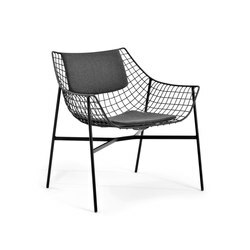 Its slender frame in powder-coated steel gives the chair a transparency and lightness, allowing it to blend effortlessly with its surroundings. 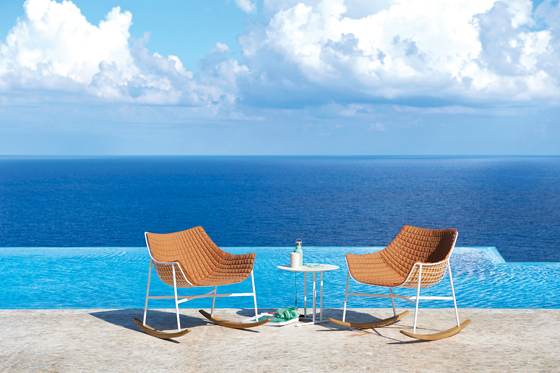 The In & Out chair, designed by Ernesto Lechthaler, achieves a similar effect, especially in a coastal setting on a gloriously sunny day, its powder blue and turquoise upholstery inevitably echoing the blues of the sea and cloudless skies. The chairs also avoid obstructing such idyllic views thanks to their low backrests, which simultaneously make them look informal. 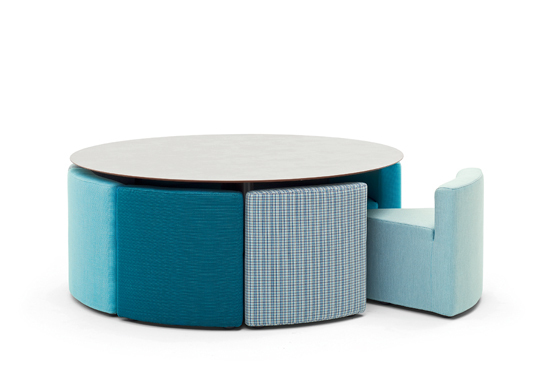 Also successfully toning with nature is the modular seating system Belt by Daniele Lo Scalzo Moscheri, which combines such delicate pastel tones as lilac, sky blue, muted yellow as well as white. 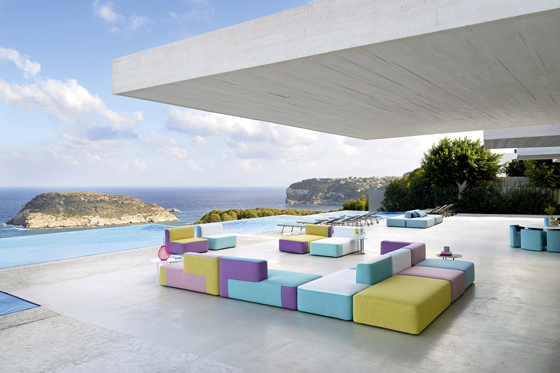 Naturally, the seating’s blue and white areas tone with vistas of the sea and sky, while even the mauve and yellow shades are soft enough to harmonise with any natural environment. 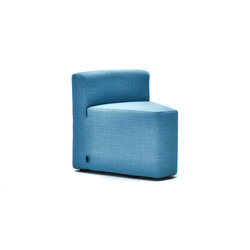 The seating is playful, both due to its almost childlike palette of pastels and to its modular nature, which invites the user to reconfigure it in countless ways. 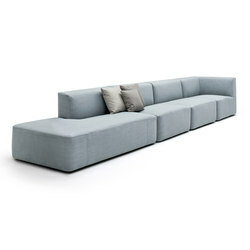 Another piece, Barcode, epitomises the laid-back, sociable vibe of Varaschin’s designs. 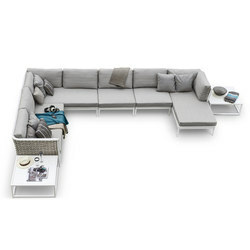 Designed by Alessandro Dubini, this versatile, modular sofa, with a teak frame suitable for outdoor use, is part of a family that includes coffee tables and sun-loungers. Together, these create the kind of comfortable, stylish, convivial space that Varaschin has consistently fostered throughout its long history.